Beautiful Inside & out! 3 bedroom, 2.5 bath, 1 car garge townhome situated on a STUNNING Conservation & Waterfront Lot! In GATED Community of Seven Oaks! Home features 1682 sq ft of luxorious living space, this is the perfect place to call your home! 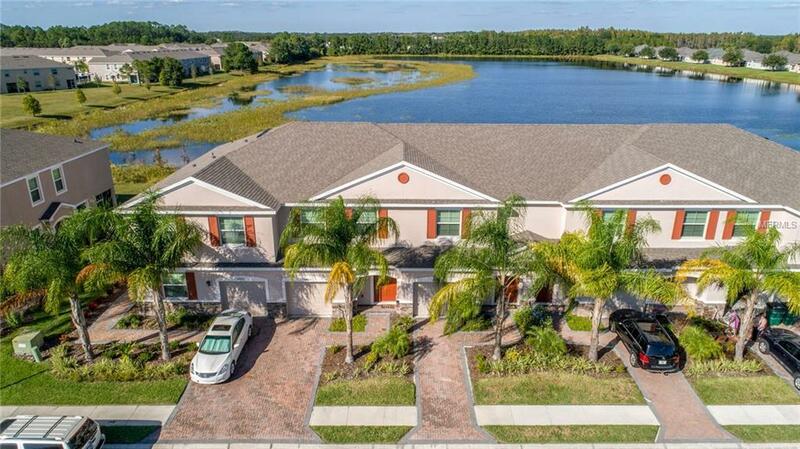 Large open kitchen with granite countertops, breakfast bar, walk in pantry, plenty of eat in space and kitchen has sliding door to covered & screened lanai with breath taking views of conservation & waterfront also great for entertaining! Large family room open to kitchen. Second floor boasts large master with walk in closet. 2 other bedrooms & two full baths. All bathrooms have granite!!! Tons of community ammenties! Pools, sports courts, fitness, park, playground, tennis & much more! Conveniently located in the heart of Wesley Chapel. Close to I-75, I-275, Outlet & Wiregrass mall, Florida Hospital, restaurants! MOVE IN READY & A MUST SEE!